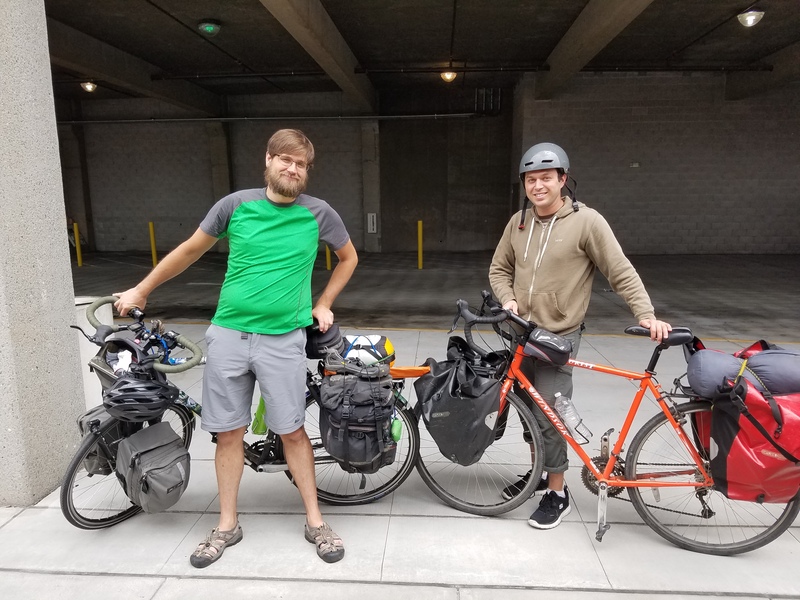 Another year, another bicycle adventure! Andrew and I are chilling on the train to Bakersfield. Not much to report aside from finding surprise cookies (the best kind of cookie) in my pannier from Erin. Gonna try to do a better job of updating this goofy blog on this trip. Tatonka! 25,000 miles and counting! Now with butterfly bars! Author gregPosted on June 17, 2016 Martinez, CaliforniaLeave a comment on Here we go again! After our descent, we watered up at really cool dude ranch, and then crossed the spectacular Walker basin. we were completely drained by the climb, and searching for a spot to camp. We must have looked pretty pathetic, because a pickup truck stopped to offer us water. Lucky for us, the truck was occupied by two of the nicest folks you’ll meet, Skip and Cis, who ended up inviting us back to their house to camp, and then offered us dinner. We had great conversations with them ranging from the abundant wildlife around their house (of which Cis takes award-winning photographs) to the various safety concerns of building a C-17 aircraft. Now I’m in my tent, well fed and well beered, and ready for a great night’s sleep. Tomorrow: lake Isabella. Author gregPosted on June 19, 2016 June 19, 2016 Caliente, California1 Comment on One day down! In an effort to beat the heat, we were up at five and on the road just after six. After an amazing descent, we were plopped squarely into the desert, and the temperature started climbing rapidly. Thankfully, we had a really nice tailwind, which kept the heat from beginning unbearable, but we definitely stopped at every gas station to refill on cold water. (And dumping water over our heads) Can you believe we didn’t see a single Dairy Queen? Andrew got a flat during the hottest part of the day (at least 100 degrees), after which we decided to reassess our original plan, which was to ride to the next restaurant and hang out there for five hours waiting for to cool down, and then beg them to let us camp behind the place. 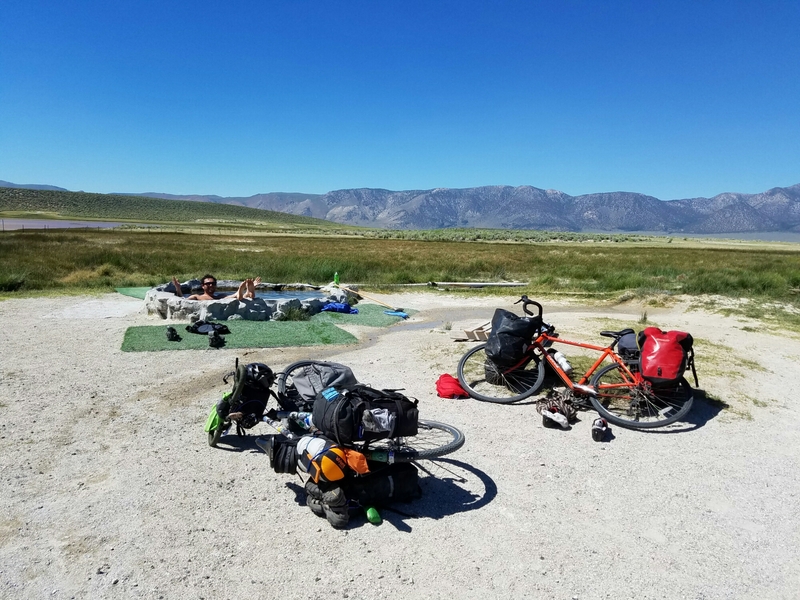 One of the nice things about not being broke while bike touring is that you can afford to stay in a motel when it’s too hot to camp, so that’s what we did. We got to the motel at 2pm, just as the tail wind shifted to become a cross wind. We showered, napped, made a quick run to the aforementioned restaurant for dinner, and are now going to bed, well rested and hydrated. Tomorrow, we’re getting up even earlier, in the hopes of catching a bus in the next town to take us to Bishop, after which the temperature should be much more manageable. 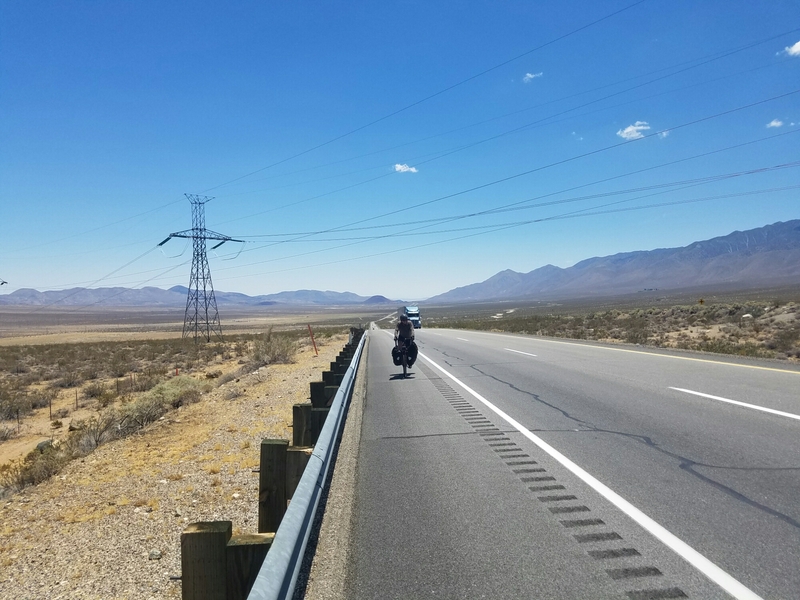 We certainly could ride the whole way – we’re right on schedule – but getting up before dawn in a mad race against the thermometer, then sheltering somewhere all afternoon to avoid getting cooked doesn’t leave a lot of room for fun. The bus let’s us skip two days of that malarkey, and gets us up to the mountains where there are lakes and streams ripe for the plunging a day sooner. Just a quick update here. 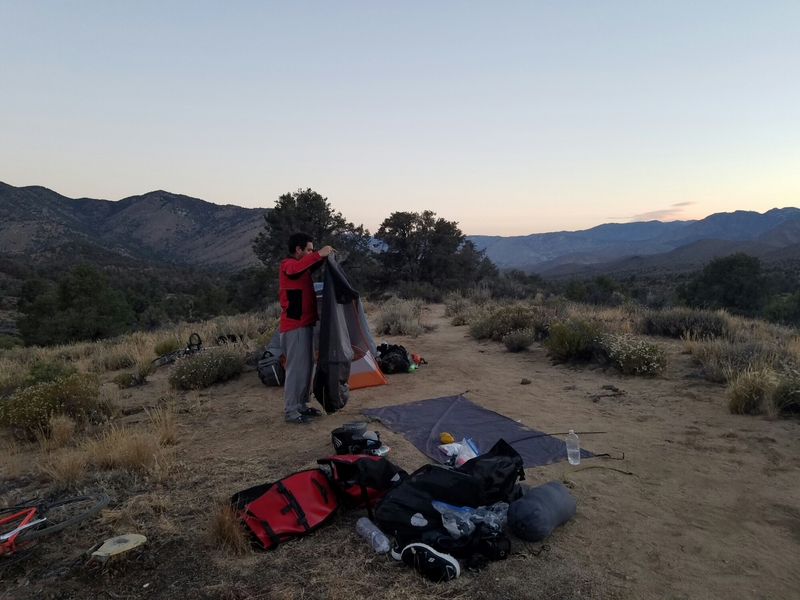 Yesterday, ee left Olancha just after 5am to ride the 25 miles to Lone Pine to catch the bus to Bishop. Really glad we made that decision to avoid the heat. 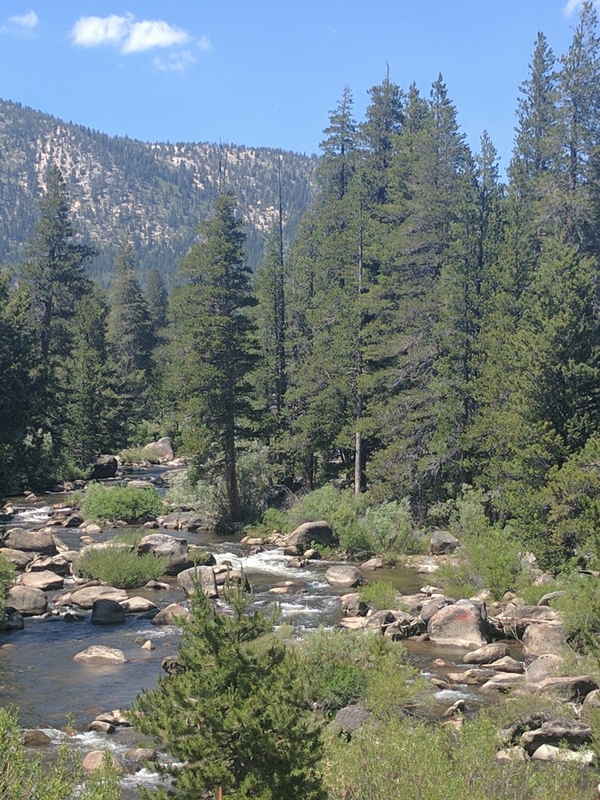 In Bishop, we did some errands and then headed out to an amazing campground – Pleasant Valley – on the rushing Owens river. The presence of water makes such a difference! Even though it was probably pushing 100 degrees, it doesn’t matter when you have a cool river and shade at your campsite. The guy next to us gave us freshly caught trout for dinner! 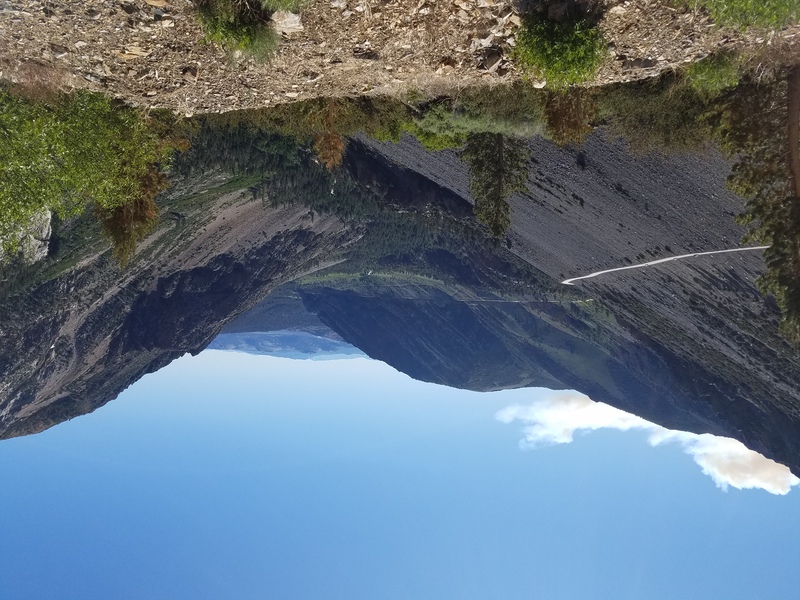 This morning, we had a beautiful rude through the owens river canyon before we began a pretty steep, but very scenic, 3000 foot climb up the Sherwin grade. Luckily, there was another creek to jump into about halfway up. At the top of the climb, we were clearly in a different environment – Aspen, pines, many babbling creeks, and so many wide – open mountain vistas! And the temperature dropped into the low 80s. Along the way, we took a slight detour to go to an awesome hot spring (which had been unthinkable during the heat of the previous several days). Now we’re camped at mammoth lakes, where it’s going down to the low 50s tonight! 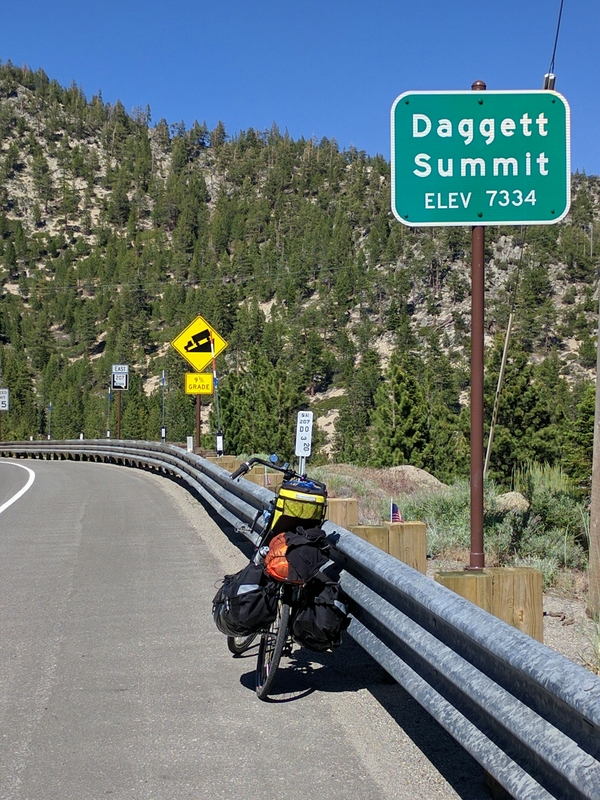 Tomorrow, we meet Morgan in Lee vining, and possibly began to climb tioga pass. About to head over tioga pass! Probably no service for a bit! Author gregPosted on June 23, 2016 Lee Vining, CaliforniaLeave a comment on To Tuolmne! Two legs bad, ten wheels good! 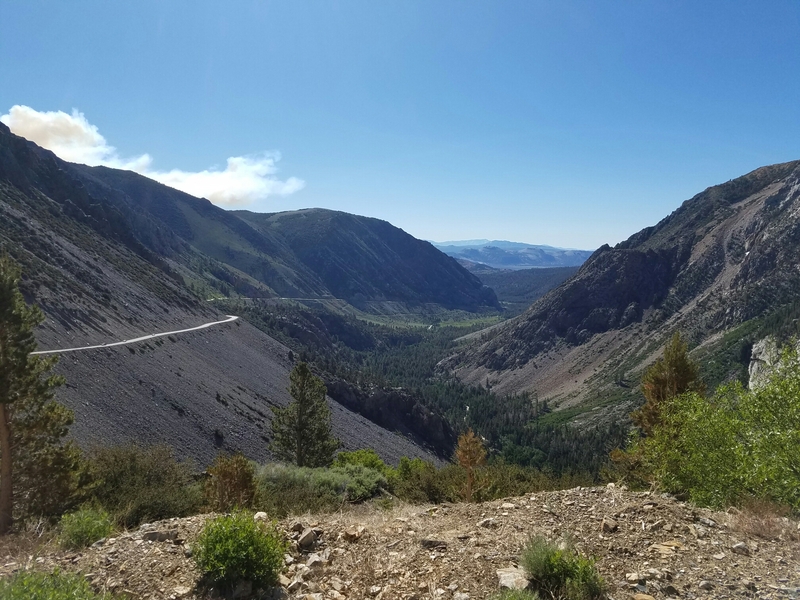 Let’s see where I left off… After mammoth lakes, Andrew and I had a beautiful ride to Lee vining, taking detours off the highway to ride the mammoth lakes scenic drive, and then the June lake loop. 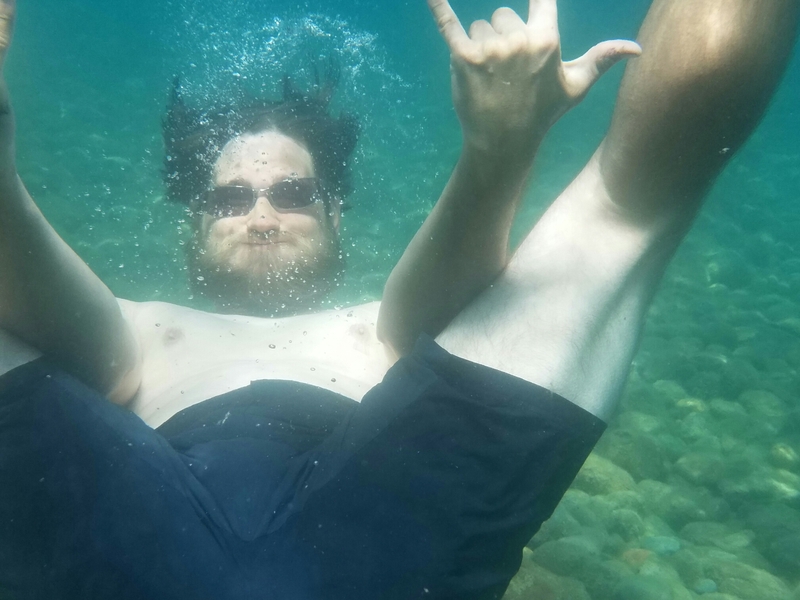 We stopped for lunch, a dip, and a beer at silver lake – perfect! Then we headed into Lee vining where we picked up Morgan at the fanciest Mobil station you ever did see. 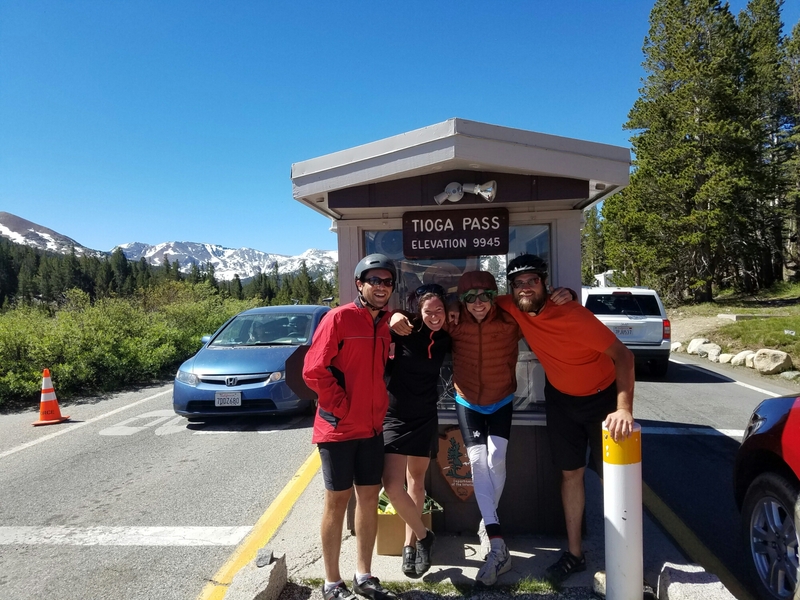 We decided to stay at a campground about two miles up the Tioga pass. 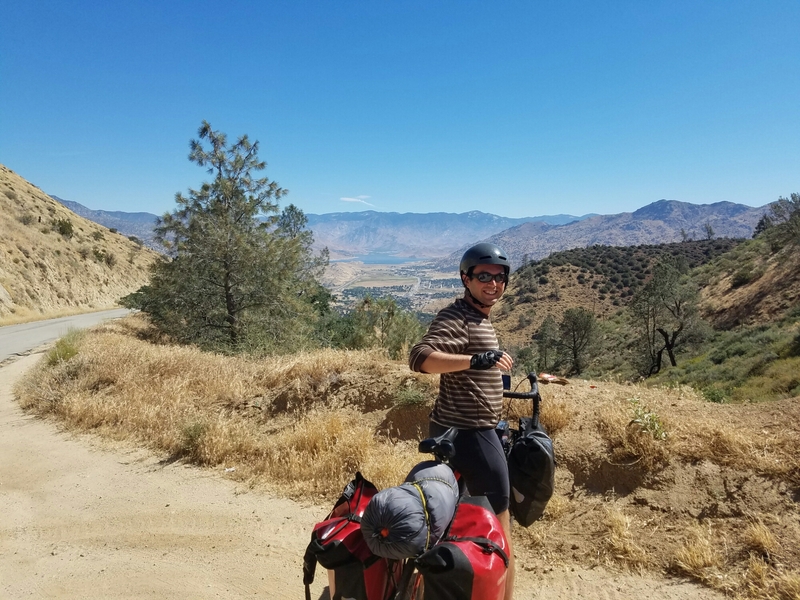 There, we meet McMann, a fellow bicycle tourist on his first tour – he had come up from Nevada through death valley. His route: ride for two months, and just see where the road takes him. Sounds good to me! 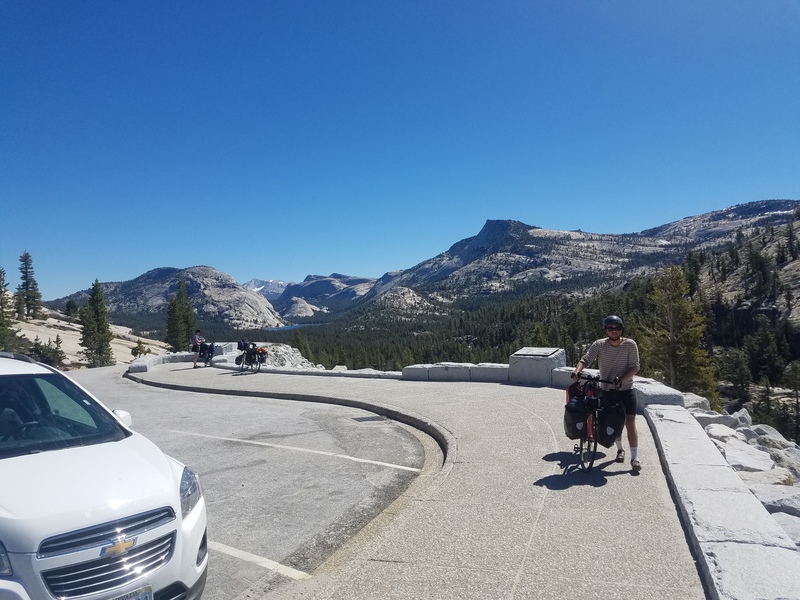 We made quick work of tioga pass, which wasn’t as hard as I though it would be, and were in Tuolmne Meadows campground by 11:00. Morgan, McMann, and I did a short hike up Lyle canyon, and had a great lunch, dip, and nap at a gorgeous spot on the tuolmne river. Back at camp, we met a ton of Pacific Crest trail hikers, and entertained them with a little double-clarinet/melodica jam session. 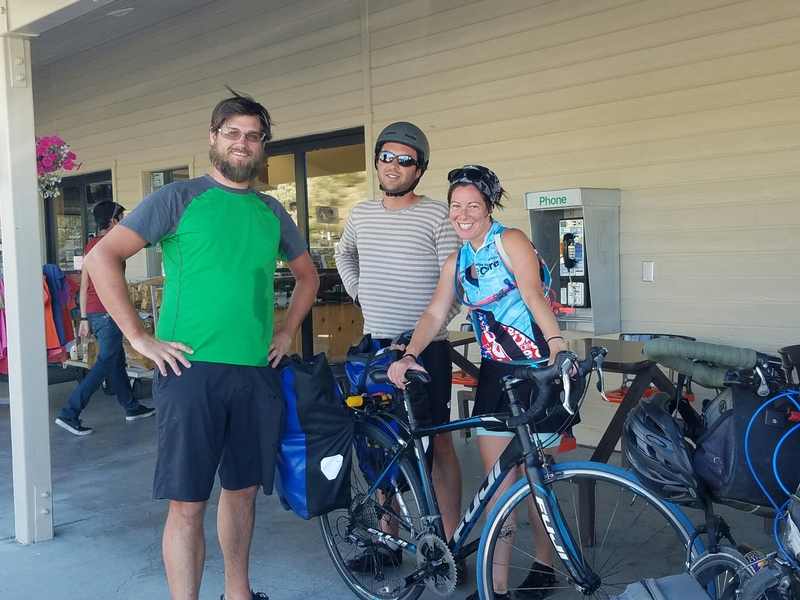 The next morning, we said goodbye to McMann, and headed down through the rest of Yosemite – what a beautiful ride! Definitely one of my favorites! When we were able to get in touch with Alice and Anton, it turned out that they were only an hour behind us, having ridden the huge climb out of the valley in record time! They caught up with us in buck Meadows, and the five of us continued on to the most deluxe RV resort I’ve ever seen – bocce, hayrides, a petting zoo. Now we’re just outside of groveland, about to head to Sonora and then up ebbets pass! Author gregPosted on June 26, 2016 Groveland, CaliforniaLeave a comment on Two legs bad, ten wheels good! What a couple of days! 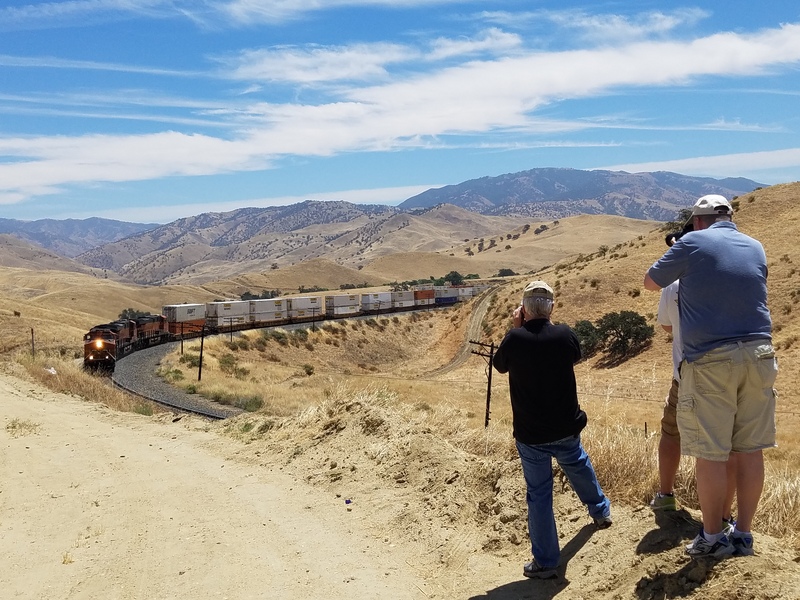 Tomorrow, we aim for the double passes of Pacific grade and ebbets! Hey everyone – Erin here. 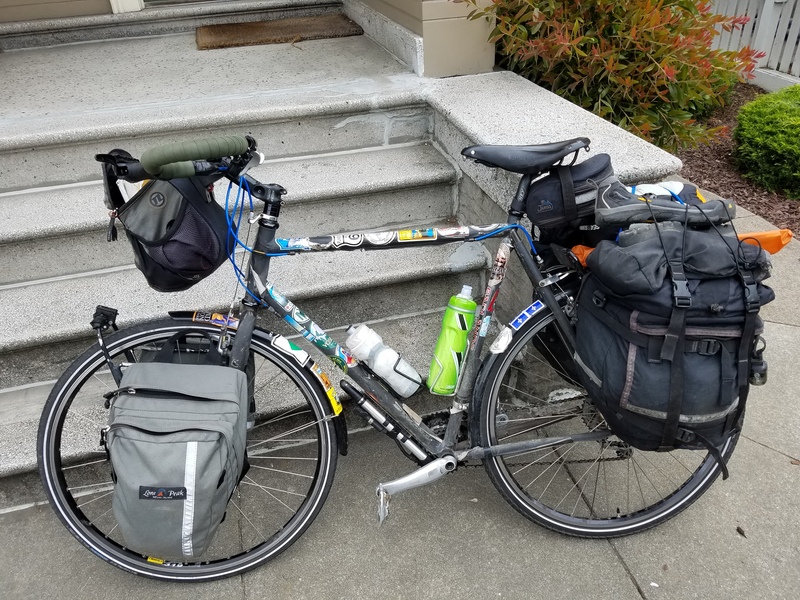 While everyone else has been huffing and puffing up those mountain passes, I’ve been leisurely packing up and getting ready. Yesterday, I finally got on the road! I was excited to do a “fun ride” after lunch to warn up. I forgot that climbing from 0 to 1,000 feet is not the same as climbing from 6,000 to 7,000 feet! I am definitely feeling the altitude, and it made things tough today. But the descent into the valley was amazing! Down in the valley I rode through ranch land, and the temperature rose dramatically. 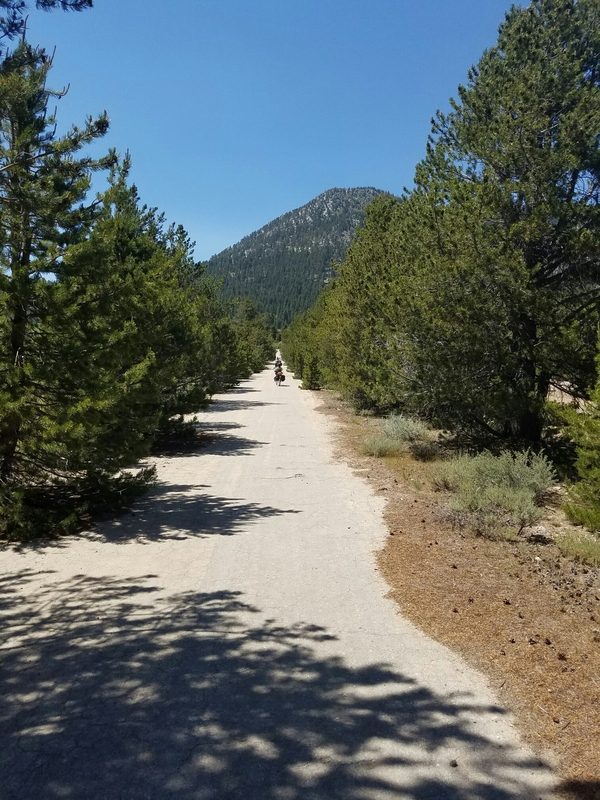 I hadn’t anticipated the total lack of shops and other water sources along my route…after losing my way twice, I was overheated, dehydrated, and out of water. Then I ran into Shane, who was out for a run. I told him about my predicament, and he directed me down the road to his fiance Katie’s trailer. 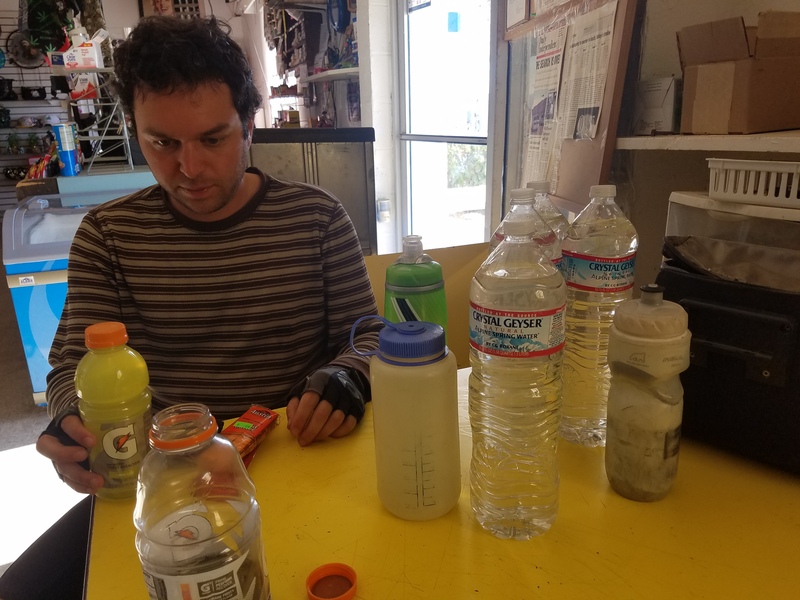 She not only filled up my bottles but pointed me toward Carson River Road, which gave me miles of shady riding with next to no cars. Exactly what I needed! I popped out on 88 and rode a bit more to get to Crystal Springs campground, which was all but deserted. 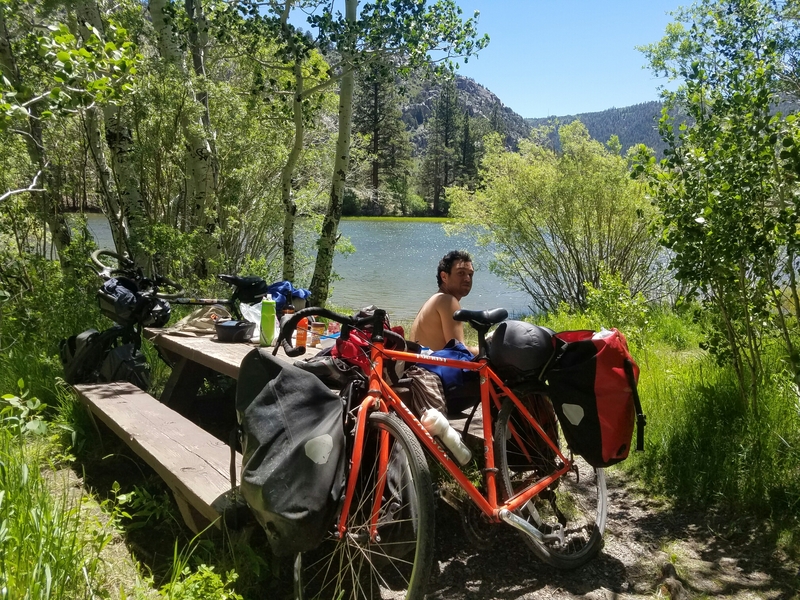 Lessons learned from my first day: (1) Altitude sure does weird things to your body; (2) always take extra water; (3) when bike touring, you will always depend on the kindness of strangers. Wow, it’s been a while! Here’s a rundown of the trip this week. Tuesday: Greg, Andrew, Alice, Anton, and Morgan conquered Ebbett’s Pass and met up with me at a campground on Highway 4. Merriment ensued. Wednesday: We sailed down next to the Carson River, stopping for second breakfast in Markleeville. 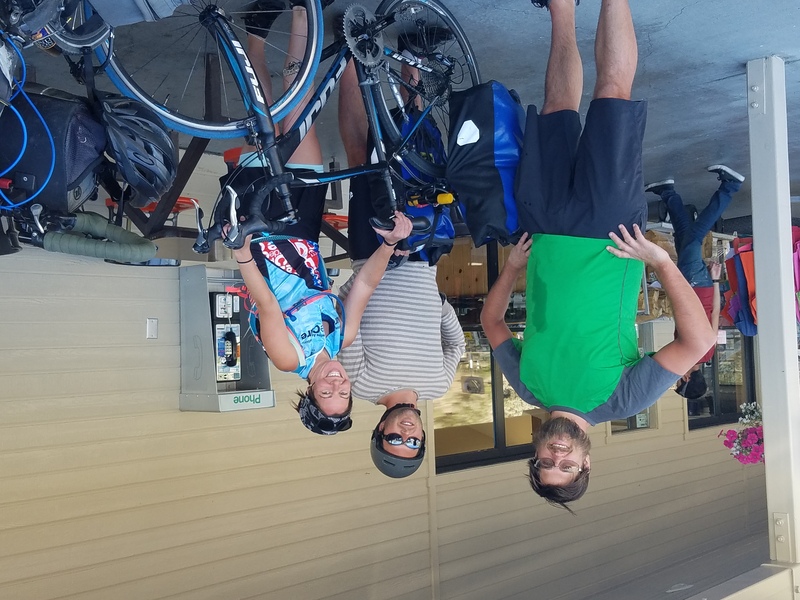 We also met a solo bike tourist from Alaska who was traveling along the Sierra Cascades route. Back home he builds snow bikes, and he showed off his derailleur-free chainring that he shifts by hand when he hits a steep climb. After Luther Pass nearly killed me, we heard about an alternative route from a local that got us off the highway and onto an old, very overgrown road that inspired much post-apocalyptic daydreaming. At the end of the road, who should jog past but Shane, the guy who had saved me two days earlier from turning into a sun-baked husk! He was happy to see that I was still alive and well. We then descended upon Lake Tahoe and Greg and Anton ate all their ice cream. 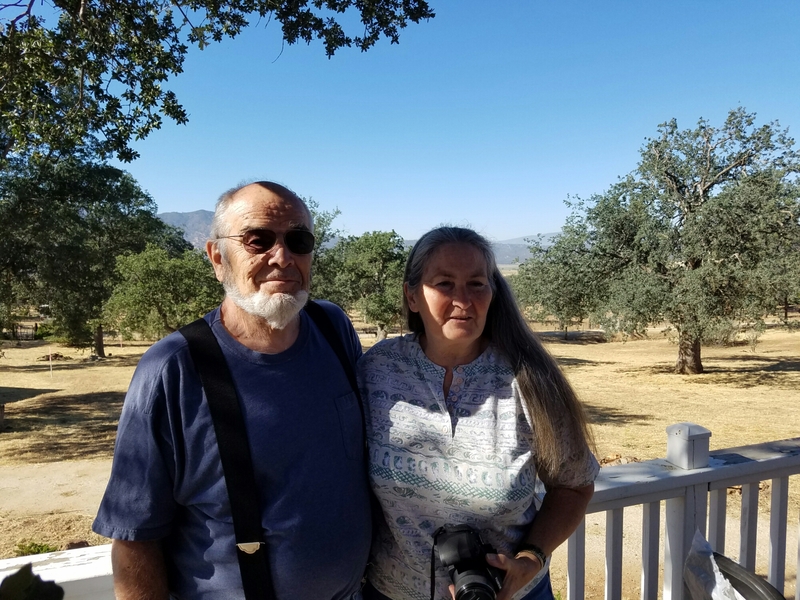 Thursday: Morgan left us to go run up a mountain, and we pressed onward after breakfast, where we met a seventy-three-year-old cyclist who had been on the US cycling team in the 1972 Olympics! 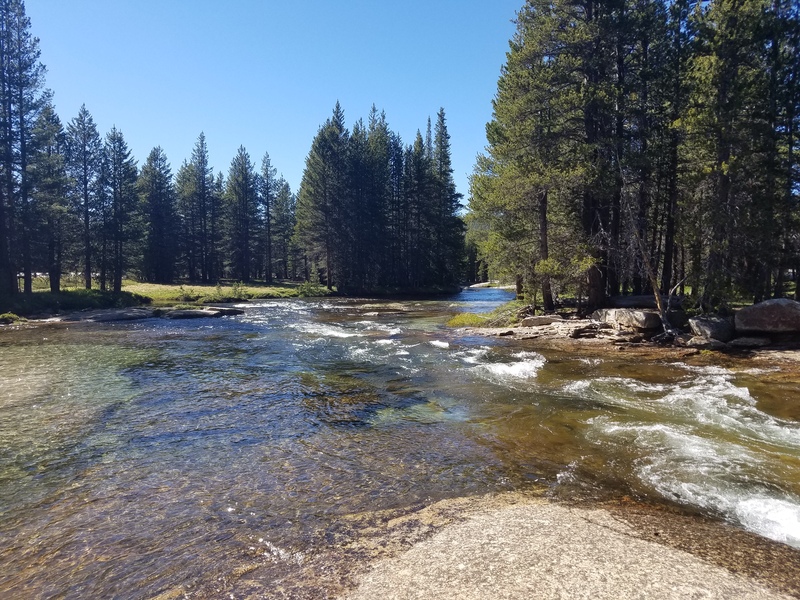 We stopped for a dunk in the lake before meandering along the Truckee River and camping at Donner Lake. 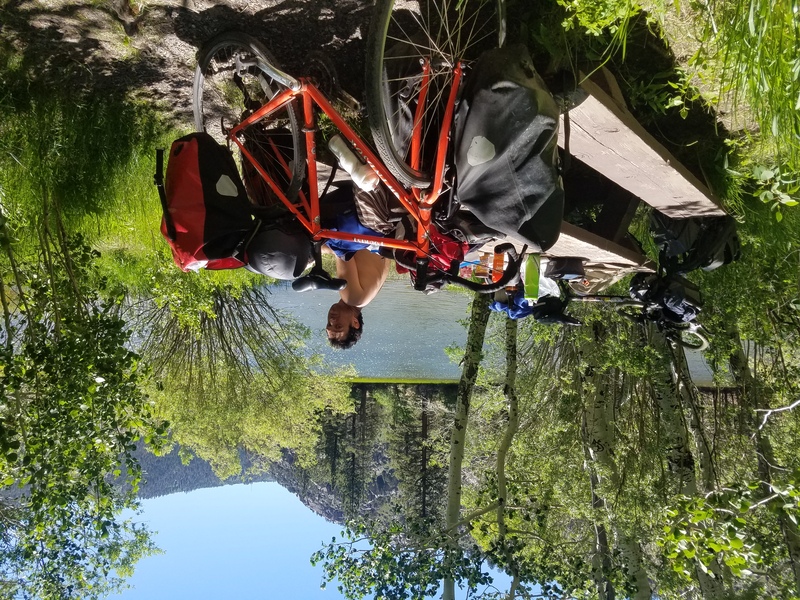 Friday: Andrew peeled off the pack as well to head down to Oroville, as we changed our original trajectory and headed up Highway 89 to the town of Graeagle. It was packed with folks gearing up for an epic Fourth of July weekend extravaganza. 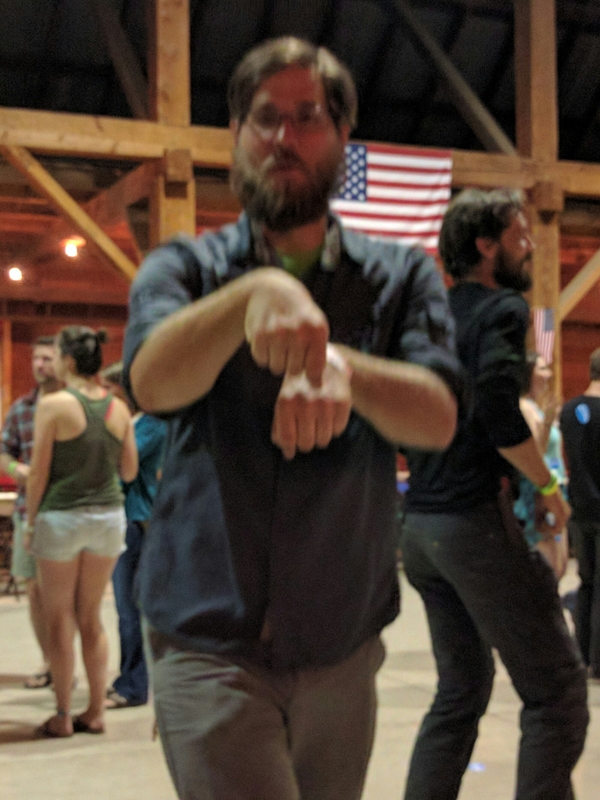 We set up camp by the Feather River and then went to the town barn dance to attempt to blend in with the locals. Saturday: Greg and I bid Alice and Anton a hearty farewell / Auf Wiedersehen, and decided to take a lazy day. 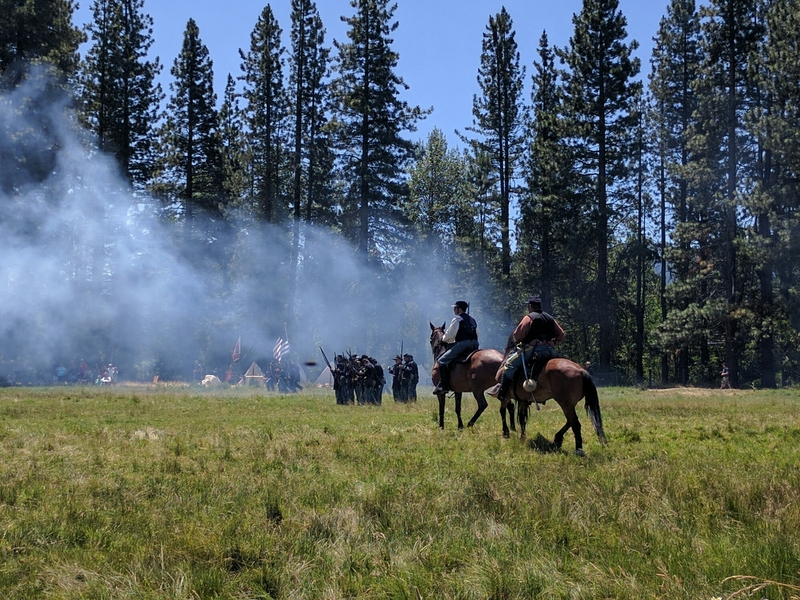 In Graeagle, a Civil War reenactment society was out in full dress, and we stuck around to see the ensuing battle. We then found a vacancy at a motel in Portola, and headed up there. Along the way we found a tiny brewery inside a roadside resort – Eureka Peak Brewing Company. The owner-brewer didn’t yet have a license to sell beer for off site consumption, which was a shame because his Lavender Witbier was amazing. And now, we’re enjoying the luxury of air conditioning, trashy television, and a real bed!